It's taken a couple of billing cycles for California lawyers to absorb the significance of a state Supreme Court decision two months ago. In a controversial decision, the court said that lawyers' bills are not privileged after a case has concluded. "[L]egal invoices sent from a law firm to its client, although initially protected by the attorney-client privilege, may lose such protection once the subject litigation is concluded," wrote Justice Kathryn Werdegar. "[N]othing in the Evidence Code supports the notion that the reach of the attorney-client privilege is different for pending litigation versus legal matters that have concluded," she said in a dissenting revolt joined by Chief Justice Tani Cantil-Sakauye and Justice Carol Corrigan. "Respectfully" dissenting, the justices said the majority was "undermining" the attorney-client privilege, "embellishing" the statutory language and "mischievous in the extreme" in tinkering with client confidentiality. Yep, what started out as a discovery dispute between Los Angeles County and the ACLU turned into a bona fide barn-burner at the Supreme Court. 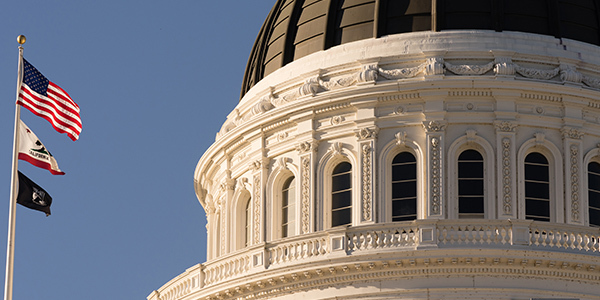 "A recent decision of the California Supreme Court leaves attorneys and their clients thinking twice about what they put in client invoices and bills," says Joshua M. Heinlein for the California Lawyer. Quoting excerpts from the decision in Los Angeles County Board of Supervisors v. Superior Court, 2 Cal.5th 282 (2016), the magazine says "invoices sent to clients are privileged if part of "active and ongoing litigation," but may not be privileged if related to matters "concluded long ago." Unfortunately for lawyers who would rather not unbundle their recent billing records, there's another side to the decision. This two-edge sword cuts deeper. "The contents of an invoice are privileged only if they either communicate information for the purpose of legal consultation or risk exposing information that was communicated for such a purpose," Justice Mariano Florentino Cuellar wrote for the majority. "This latter category includes any invoice that reflects work in active and ongoing litigation." The Court's core message was that "invoices for legal services are generally not communicated for purposes of legal consultation." Or stated again, "while a client's fees have some ancillary relationship to legal consultation, an invoice listing amounts of fees is not communicated for purposes of legal consultation." Or again: "billing invoices are generally not made for purpose of legal representation." Julia Molander, with Cozen O'Connor, said the court cited no law in support of these propositions. In h er view, the decision marks a "radical" departure from prior decisions and is significant beyond the discovery dispute in the case.